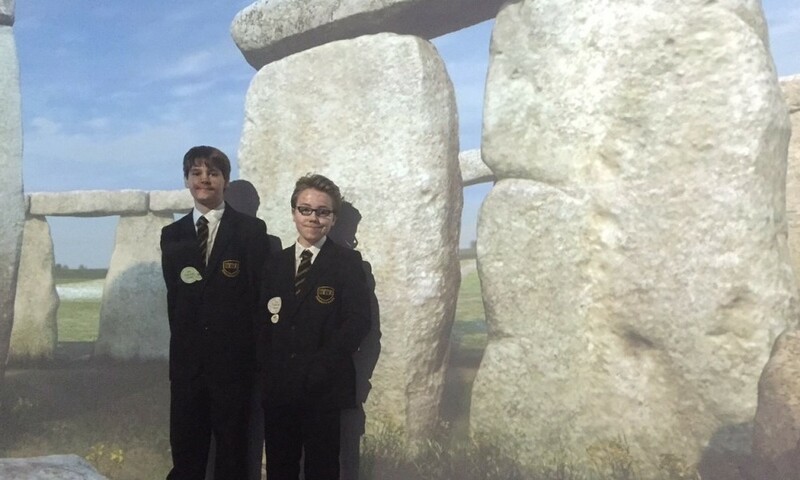 We are from the Stonehenge School, Amesbury, Wiltshire. Today, we took over Stonehenge (English Heritage) and took up two roles, one as Site Tour Guides, at the monument, and the other as Social Media executives. We had great fun taking pictures and recording short videos to post on social media. Jordan took up the role of uploading on Twitter, whilst Oliver took up the role of uploading on Instagram. Altogether, 44 children took part in the event, all having different roles, each playing a large part in the satisfaction of visitors, and running both the Monument and the Visitor Centre. Some of these roles include: a Monument Tour Guides, Social Media Executives, English Heritage Membership, Surveys for Visitors, Neolithic Houses and Gallery Tours. I was amazed at how many different jobs there are. We think the best things about taking over museums are how it allows us to experience what it is like, helping run a busy site. It was an amazing day, and allowed us to overcome some of our fears, such as talking to people we didn’t know and giving them detailed tours, etc. From both myself, Oliver, and the Stonehenge School, a very big thank you to both English Heritage, and Kids in Museums, for making such an amazing event happen! We think it is important because we are all learning but other people get to know about the site too and what it was like 5000 years ago. We love museums because they give a unique experience of what life used to be like. We love looking at all the things that are in museums. We wouldn’t really change anything at our local museums because they are just simply amazing. 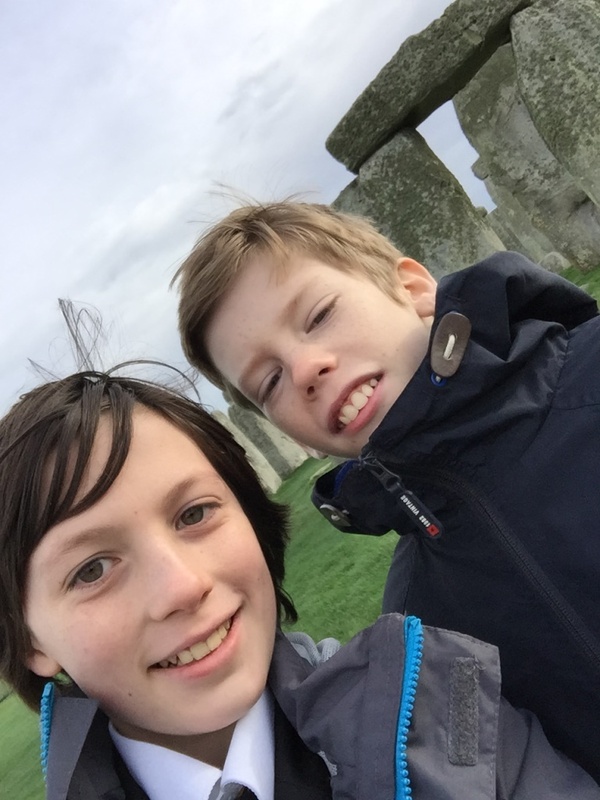 Today, Sam & Harry are taking over the social media accounts for Stonehenge because it’s #KidsTakeoverDay at Stonehenge! 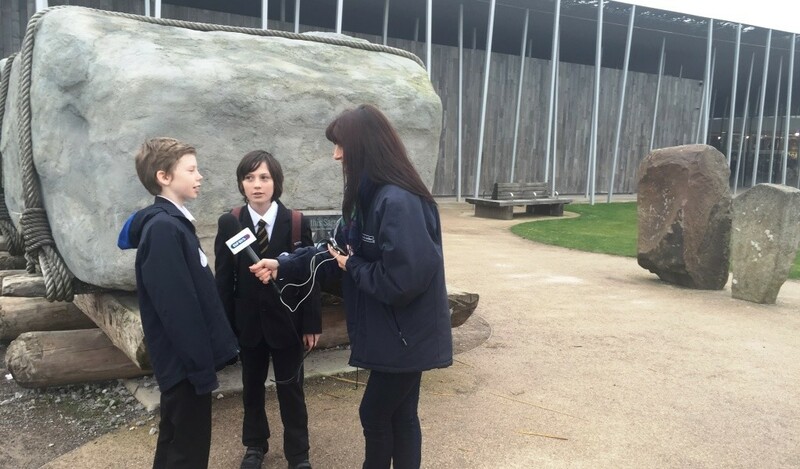 We’ve just learnt about scrapers by some kids from #Avonvalleycollege! There’s still time to come down for @kidsinmuseums #takeoverday at Stonehenge! The animation is great at the museum!